The AALAS Technician Certification Program sets professional standards for the advancement of laboratory animal science. This program was developed to recognize professional achievement and provide an authoritative endorsement of a technician’s level of knowledge in laboratory animal technology. 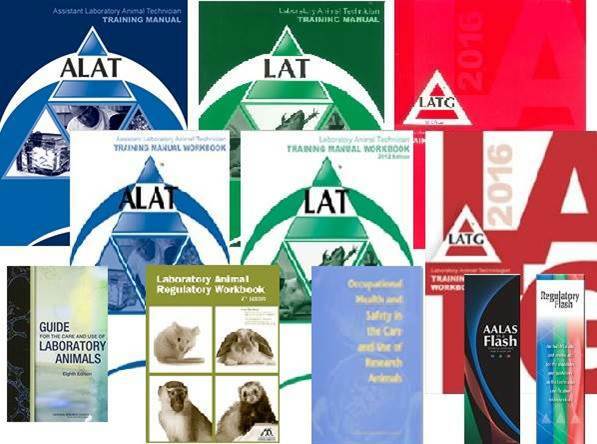 The technician certification designations of ALAT, LAT, and LATG are well known and widely used throughout the varied fields of laboratory animal care. In fact, these certifications have come to be a common requirement for a lab animal care position. Laboratory animal resource managers face many challenges, including an increasingly multicultural workforce, rapidly changing technology, and ever-changing regulations and institutional policies. Managers who can consistently and effectively meet these challenges are in great demand. The Certified Manager of Animal Resources (CMAR) program is designed to raise competency and professionalism in the field of laboratory animal resources management. AZAALAS Lending Library…Check it out! Are you preparing for AALAS Certification? Members can also request an account for the AALAS Learning Library if they are within 6 mos of your certification exam and the branch still has accounts available.